Our attorneys are investigating claims that Invokana, a popular diabetes medication is linked to ketoacidosis and possible kidney failure. Members of the medical community, federal drug regulators and patients have all reported that the drug poses serious danger to patients. Diabetes is already a difficult and life-threatening condition and you or a loved one may have been prescribed an even more dangerous medication. If you or a loved one has been hospitalized do not hesitate to contact GWC personal injury lawyers today. When a drug that is already on the market poses a potential threat to patients, the Food and Drug Safety Administration (FDA) will review Adverse Event Reports and further investigate the drug. In the case of Invokana, the FDA’s Center for Drug Evaluation and Research (CDER) is investigating a link between the use of Invokana and the development of a condition called diabetic ketoacidosis, or DKA, a dangerous condition that can lead to hospitalization. 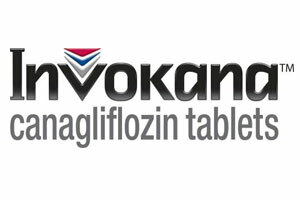 The FDA’s safety communication issued on May 15, 2015 instructed doctors to continue to monitor patients and to report all Adverse Events that may be linked to Invokana. These diabetes medications all share similar active ingredients that may lead to diabetic ketoacidosis (DKA), a serious condition where the body produces high levels of blood acids called ketones that may require hospitalization. If you or a loved one have experienced any of these side effects, it is important that you consult and inform your doctor of your condition immediately! It is also important that you talk to an experienced and reputable attorney so that you can be advised as to any potential legal rights you may have given your specific situation. Since all lawsuits are subject to a time limit or statute of limitations, it is advisable to contact a reputable attorney as soon as possible. With over 35 attorneys and the resources, reputation, and expertise necessary to represent clients who have been affected by complications or side effects caused by the Type 2 Diabetes medication Invokana, Goldberg Weisman Cairo is the largest injury law firm in Chicago and represents clients nationwide. At GWC, our lawyers will not take a fee unless we are able to successfully resolve your case.